This Posterous stuff is getting addictive! I think I was posting a few too many scooter related links over at CrocodileJock, (my other blog) which was originally intended to be a general design blog. I thought the Lambretta stuff might be turning some readers off, and the design stuff turning the scooter crew off. So here goes, a dedicated Lambretta blog. 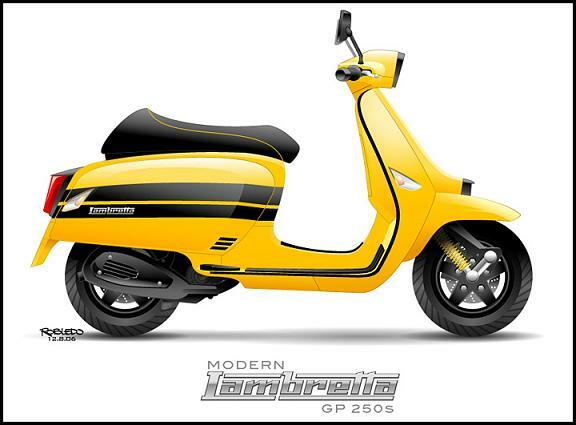 There may be some Vespa (cough, splutter!) stuff posted here from time to time, and other scoots… but I will veer towards the vintage stuff rather than modern, “twist and go” scooters, unless there’s something that interests me of course. 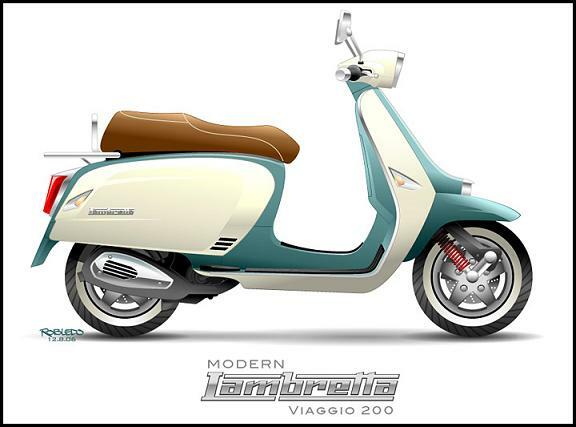 So, to kick it off (and while I work out how to re-publish the scooter stuff from the CrocodileJock blog), here are some interesting concepts for a modern Lambretta, dating from 2006. Rather a good effort, I thought. I’m trying to track down some more information about the creator, Robledo. Oh, and the other difference between this blog and the CrocodileJock one is I’s like this site to be a bit more collaborative, so if you’ve got any Lambretta (or other scooter at a pinch) related pictures or stories to share, get in touch. 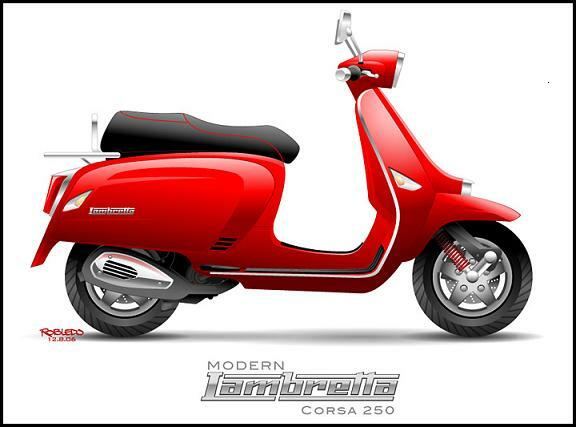 This entry was posted in Admin and tagged concept, illustration, Lambretta, modern, Twist'n'go by crocodilejock. Bookmark the permalink.